Dennis and SISIS host successful bowling green maintenance seminars. Held on March 17 and 18 at the Great Hollands Park Bowls Club in Berkshire and Canterbury Bowls Club in Kent; Dennis and SISIS joined forces with their dealer Lister Wilder along with sponsors Headland Amenity and Limagrain UK to deliver insightful tips about all aspects of bowling green maintenance. Over 70 greenkeepers and local authority personnel were in attendance at the two seminars; all eager to see what improvements they could make to their greens. Robert Jack, Dennis and SISIS area sales manager introduced each of the seminars before Bruce Elliot, amenity seed specialist from Limagrain UK, opened the presentations by advising the attendees on how to choose the correct grass seed for a bowling green. Headland Amenity’s Alex Hawkes followed with a presentation on chemicals and fertilisers in which he relayed some valuable information on how to improve the health of a bowling green. Sports turf consultant Alan Lewis was next up to offer guidance on maintaining bowling greens. In his presentation Alan discussed best practice including tips on brushing, scarifying, spraying, verticutting, aerating, watering and end of season renovation. A hearty complimentary lunch was provided before an on-green demonstration proceeded. 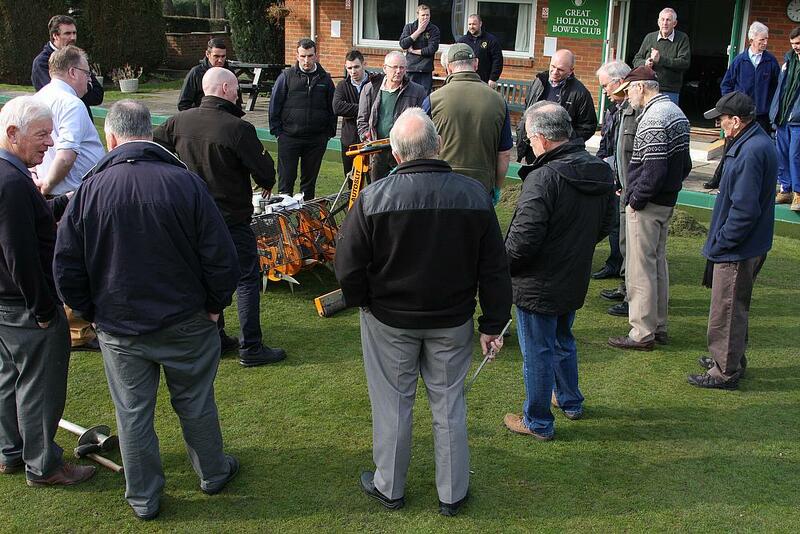 All delegates got to see many of the maintenance tips Alan Lewis mentioned in his presentation performed by a range of Dennis and SISIS turf maintenance equipment. The seminars were rounded off with the popular ‘turf clinic’ question and answer session, where delegates got the chance to ask some of their own questions to the experts. Reflecting on the seminars, Robert said: “These seminars are mainly designed for volunteering bowls green staff; just to give the guys some valuable information so they can go out with a little bit more confidence on their bowling greens. Further educational seminars will be planned throughout 2015. Further information about the range of bowls maintenance products available from both manufacturers can be found by visiting www.dennisuk.com / www.sisis.com.